It’s a disgustingly hot, summer day at the Jersey shore. I am 8 years old and an undersized one at that. I have my legendary Duke basketball hat on, one of my older brother’s hand me down shirts and shorts on and my high white socks that I tried folding into ankle socks. I’m heaving layups off the top of the backboard as I could barely dribble let alone shoot. It didn’t matter though, in my head, I was destined to play for Coach K at Duke. I was obsessed with Duke basketball. I knew all the players, all the stats, I knew the entire coaching staff, and I used to cry when they lost. As I struggle to perform anything that could be considered an athletic movement, two men came up to me with clipboards, whistles and a collective look of disgust on their faces. I can remember everything about that day. I remember exactly how I felt when they said that and I remember exactly how excruciating that entire day of basketball camp was for me. Since I was old enough to read, every morning I woke up early and read the local sports paper. I knew every stat about every player and team in the area. I thought the local high school and college players that I read about were superstars. These same student athletes – including my oldest brother – were the counselors at this camp. The two men running the camp – the same one’s who questioned my father’s parenting effort – were legends in the area. Get better? Wasn’t he mad that people were openly mocking me? Now that I look back on it, of course he was. Nobody wants to be told they are not good. But the simple fact was – they were right. Relative to the rest of my age, relative to my brothers before me, I stunk. Relative to what others thought I SHOULD be; I was not good. So what is the proper response? Complain? Drive back to the gym and demand an apology? Ask for my money back? File a bullying report against the camp counselors? Maybe. But thankfully, the answer for me was simple: don’t worry, get better. No need to overthink it. No need to get upset. Simple… get better. That entire year, I practiced the skills the counselors – who were genuinely fantastic people and coaches – taught me. Everyday, I shot at some broke down basket across the street. I dribbled beat up basketballs, soccer balls, and tennis balls in my driveway. I played mock games on a Nerf basketball net in my living room everyday. I would try playing pick up games with my older brothers and their friends. They never let me play. I would run home and tell my mom, and she would make them let me play. But I had to compete. I couldn’t play just because I was their brother. If I wasn’t competing, if I wasn’t going all out, if I cried; they kicked me off and my mom was ok with it. During that year, I was ALWAYS the worst one on the court against these older boys. And, nobody ever told me any different. Nobody took it easy on me because I was several years younger and significantly smaller. Nobody thought – hey, this kid may think less of himself if we keep beating him. It wasn’t “negative,” it was reality. It was always very vanilla – if you want to be “good,” get better. I went to the same camp the following summer – with the same Duke hat. As a 9 year old, I challenged the high school counselors to 1v1s; I wanted nothing to do with playing any kid my own age. The owners of the camp were floored. Get better my dad said. Although I never seriously challenged the counselors – the simple fact was – I was competing. And I was loving every minute of it. Nothing was being given to me. The counselors didn’t let me win because I was 9. I lost every game but they challenged me; they made me work for anything I could get. And because of this, they were making me better. During the year, I engaged in the same routine. Dribbling in the driveway, shooting on any basket I could find, playing everyday in my living room, having my mom force my older brothers to let me play. I learned how to play chess and my dad would hammer me in that too. Nobody going easy on the little kid. Again, if you want to be “good” – get better. During my 10 year old summer, I went to the basketball camp again. I was still far from the biggest, I was still far from the fastest; but my years of deliberate practice put me head and shoulders above anyone else my age. In fact, I played with the 13-15 year olds because I thought they were my age. And everyday, I challenged the counselors. But this time, I won some games. And it mattered. I went against the best of the best in the area and I won! I wasn’t given it; I wasn’t handed the win; I earned it. I earned it in my driveway years earlier, I earned it in my living room dribbling a nerf basketball everyday, I earned it by getting beat on daily in basketball/football/baseball/soccer/chess/life by my older brothers and sisters. In the face of adversity, my dad’s message was simple – get better. I understood my reality and became determined to change it. Because of this process, I was rewarded with some of the best memories I ever could have. These memories didn’t come with trophies or tournament wins. In fact, I can’t remember one game I ever played during those years – but I vividly remember dribbling in my driveway everyday trying to achieve something bigger. I can’t remember winning any organized game against some random kids my age; but I can remember beating the counselors at that camp like it was yesterday. I wound up becoming a nice little basketball player. Had I kept up the same training regiments and played against even better competitors as I grew up – I probably would have developed into an even better player. But the takeaway for me in my reflection isn’t the basketball skills I acquired during those years. 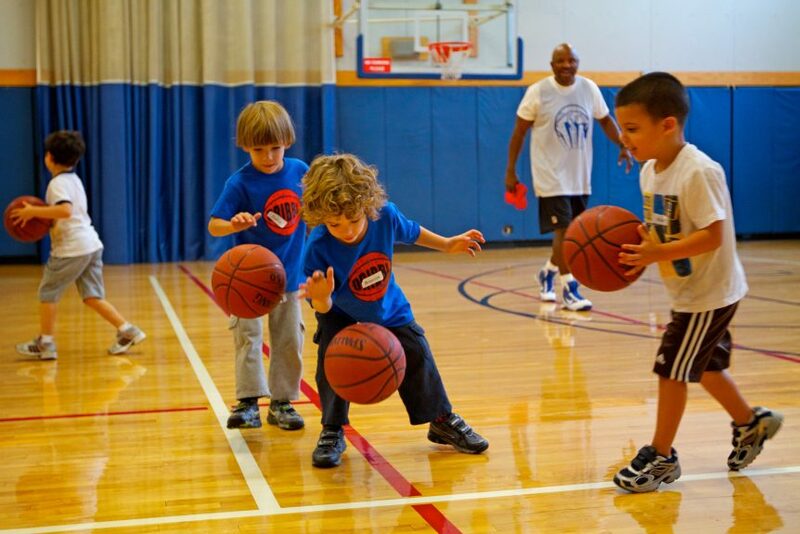 Rather, it was the skills that I learned that transcended a basketball camp. During my life, I’ve chosen all of the options at one point or another. I’ve been bullied, beat down, praised, overrated, underrated. I’ve quit, complained, argued, questioned the fairness of life too many times to write about. Although anecdotal, in my eyes, it is unequivocal: any long term success I’ve had has been founded on accurately assessing reality and doing everything in my power to change it for the better. Unfortunately in life, when provided the aforementioned choices – we tend to take the path that provides short term gratification over the path that provides long term development. The former path is often easier than the path that provides long term success. It would have been easier for me to quit or have my dad force the coaches to apologize. But option 3 isn’t about being easy. It’s about trusting in a process that will be difficult – but will yield fantastic results. Depending on the gravity of the goal, the process can be long (sometimes a lifetime) and may bring about a lot of pain. At the time, getting beat on by my older brothers and their friends was tough. Not going out with friends because I was dribbling two tennis balls around our block was a necessary sacrifice I had to make. But as I reflect on it now, I wouldn’t want it any other way. IT WAS THE PROCESS THAT MADE THE RESULT SO REWARDING. Ultimately, we all have goals, desires, dreams. We all have people doubting us or telling us we aren’t that good. But it’s not fighting with them that matters. It’s fighting with yourself to be better than you were; be better than anyone ever imagined you could be that matters. It’s not about the outcome or even the reward; it’s about the process. We all face issues daily. Whether they are monumental or small; whether they are athletic or not – it always comes down to the same 3 options. Run and hide from the problem, find an excuse or an alternative way to solve it that may provide short term relief, or understand and respect the problem and do whatever you can in your power to overcome. All of us will wind up choosing all three at some points in our lives; but hopefully, you will consider the advice a dad gave to his 8 year old son one day – don’t worry, just get better. Maybe my favorite article yet. That is how most kids grew up until maybe 8-10 years ago. You either did what you could to get better, using whatever you could find, or you stopped doing whatever it was that you were ridiculed for because you were too lazy and didn’t care enough to start. Determination+Perseverance = Destiny!! Not give everyone a trophy and don’t yell at my kid, even though it is to make him/her better. Great job on this article!! Your reflections are poignant, and are easy to relate to if you had an “old school” upbringing. Unfortunately, much of our youth is being raised by, as my Danish friend says, “Curling” parents. Yes, think about the sport- Curling. Parents play the role of smoothing out the ice and removing all obstacles for their children as the develop. They never get to experience the rough spots in in their life experiences. And afterall, it is those rough spots that contribute to make us who we become as adults and teach us the tenacity and grit needed to be successful in life.